Your domain name is the online virtual street address for your business, and given that there are more than 1.6 billion websites in the world as of October 2018 (Netcraft), it’s pretty important that you choose the right domain name. The last thing you want to do is put a lot of time and money into developing your brand only to find that the domain you’ve chosen has been used before by the virtual equivalent of the neighbour from hell. For a website to be considered as active by the official count, it needs to have a unique hostname – specifically have an IP address, use a name server, and have a unique domain name, which can be accessed with a browser and found through a search on the web. Exact Match, Branded or Mixed Domain? An Exact Match Domain includes targeted keywords – for example, seosydney.com.au has words that match SEO Sydney, so when people search for this geographically specific term, the URL will automatically pop up in the rankings. However a word of warning – exact match domains must still be relevant to your audience and have robust, original content that is frequently updated or you’ll lose search ground. A Branded Domain is effectively your business name. Our business is Broadcast SEO, so we have a branded domain name, broadcastseo.com.au. A Mixed Domain contains elements of the brand together with something else that is relevant to the brand. Our tagline is “SEO Experts in Australia”, so a mixed domain for us could be broadcastseoexperts.com.au (but that is way too long so we would never use it!). Obviously with 1.6 billion websites (or more correctly, purchased domain names), finding a unique domain can be a little tricky. Fortunately, domain name extensions come in a variety of flavours, so even if your preferred domain name is already taken, you may still be able to purchase a variation of it. Way back when the public Internet first emerged, the web had a fairly limited number of domain extensions (also called top-level domains or TLDs). 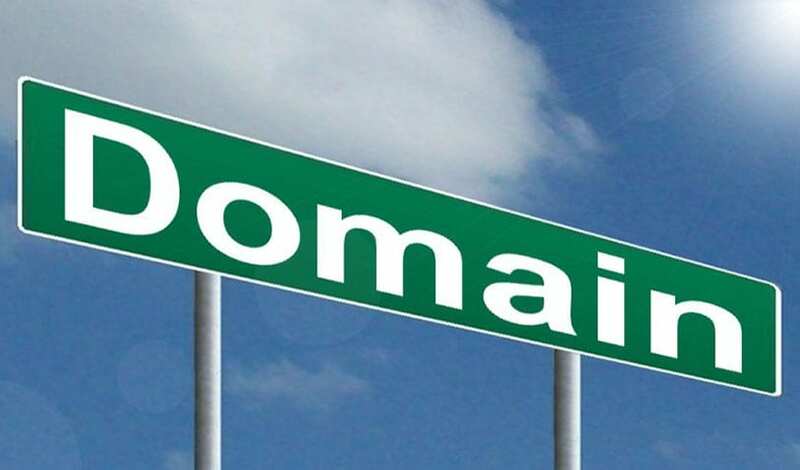 Historically, most websites ended in .com, .net, .org, .edu, or .gov, with many sites adopting their country code top-level domains (such as .com.au or .net.au in Australia). So although the number of available domain names was once starting to look a little skinny, the problem today isn’t shortage, because there are so many domain extensions available. After nearly 3 decades of the Internet though, most of us are conditioned to expect a domain name to end in .com, or com.au, or whatever extension is relevant to the country the business is based in. These days we’re pretty familiar with .org and .net, but those extensions took a bit of getting used to when they first started appearing. Creating a domain name with an extension along the lines of .club or .expert might sound great, but creating brand trust in an unusual extension may take a little time. Has your new domain existed in the past? If you’ve found the perfect domain for your business (and it’s available for purchase), it’s a good idea to check to see if it has ever existed in the past. The Internet Archive’s Wayback Machine is a good place to start, as it’ll tell you how many web captures have occurred in the history of the business. You can also run a Google Search Console search – simply type “site.xyz.com” (where xyz.com = your domain name) to check the historical number of searches for the domain. If you’d like to know more about Google Search Console and other important fee tools for your website, check out this blog we wrote last year. Launching a website with a pre-owned domain can have a significant impact on your SEO results, so it’s important to approach with caution. Always do your due diligence as a domain name may have changed hands many times, and just like buying a used car, it’s often difficult to get the full history. Checking the reputation of your pre-owned domain is an important step before you commit to buy. Talos Intelligence associates your “web reputation” with messages sent over various IPs. A “neutral” reputation here means there is very little data available for your new domain – and in this case, low volume is a good thing. Reputation Authority is another free service that specifically generates a score for your domain in relation to each IP it sends over. Again, a neutral reputation is a good result. Your website’s domain name is something that your customers connect with and it’s not something to be taken lightly. If you’ve got any questions about identifying the right domain name for your business – or if you need a hand developing or maintaining your new site – we’re here to help, just check out some of our work here or contact us for a chat.